In the 1920s a select few well-heeled visitors came to vacation in the two or three grand hotels at Waikiki Beach. Some flew in small amphibian airplanes to see the volcanoes on the Big Island, but Maui was seldom on their itinerary. Inter-Island Airways, Ltd., (which eventually became Hawaiian Airlines), a subsidiary of Inter-Island Steam Navigation Company, landed its first Sikorsky plane on Maui on November 11, 1929. 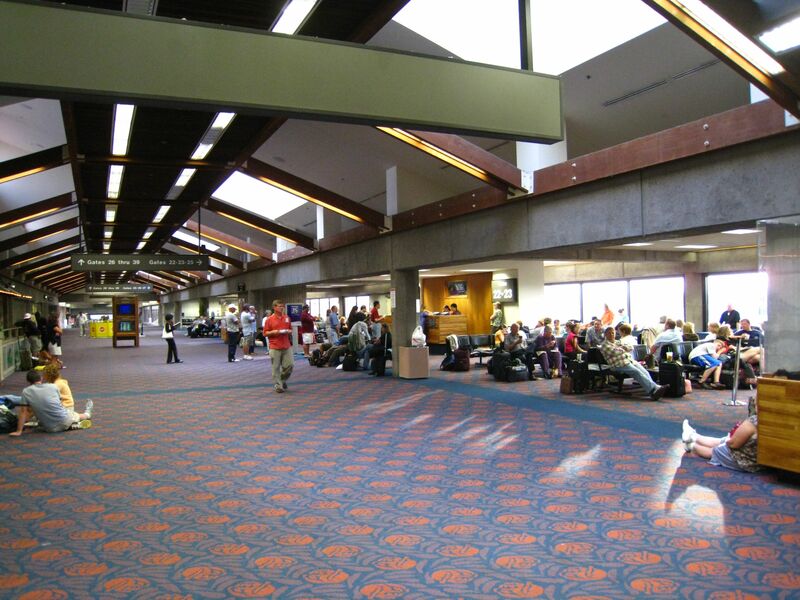 The following year Maui’s first official airport opened at Ma’alaea, and Inter-Island Airways began a daily passenger service to Maui, carrying passengers aboard Sikorsky planes with a 75- minute flight time from Honolulu. In early 1938, construction began on a new Maui airport near Camp 6 in Pu’unene. And during the early 1940’s, the military completed construction of air bases on Maui, including the Pu’unene Naval Air Station. 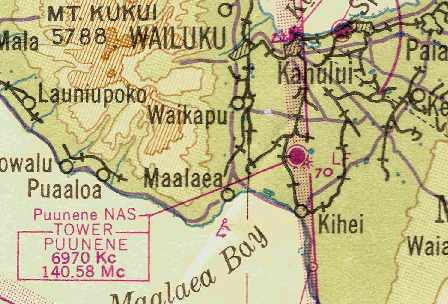 During WWII, as Maui became an important training, staging, and rest area for U. S. military forces in the Pacific, that station was no longer big enough, and the Naval Air Station at Kahului (NASKA) was established in the cane fields and beaches around Kahului. After the war, the site at NASKA was described as the “most potentially ideal commercial airport site,” and in August, 1950, work began on Maui’s new commercial air terminal. In 1951 Maui hosted 14,000 visitors. 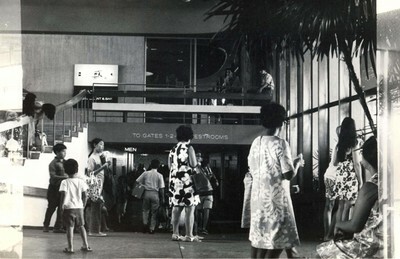 The Kahului Airport became Maui’s main commercial and passenger air terminal on June 24, 1952, when Hawaiian Airlines and Trans-Pacific Airlines flights landed. By August, 1959, the year Hawai’i became a state, Maui had committed to developing its own visitor niche and work began at Ka’anapali, Hawaii’s first planned resort. The early 1980’s brought direct service from the mainland to Maui when United Air Lines’ first flight from Los Angeles landed at the Kahului Airport carrying 180 passengers. In 2010 Maui hosted 2,089,661 visitors.